7th Regiment 7th Regiment is in search of one trumpet player, one snare drummer, and a backfield conductor to join the corps for its 2013 season. The Academy The Academy is looking for volunteers to help with its Southwest Corps Connection DCI Tour event in Mesa, Ariz. Volunteers are needed beginning June 16 until after the event which will be held on June 19. Blue Devils The Blue Devils announced their involvement in Pixar's new film, Monsters University (which hits theaters on June 21). Its soundtrack will feature the BD Entertainment drum line, which has previously performed at Pixar headquarters. Bluecoats The Bluecoats have openings for one trumpet player, one mellophone player and one baritone/euphonium player. The corps is also searching for a Class A CDL driver to help during a few weeks on the corps' summer tour, beginning June 20. The organization also is looking to secure two corps housing sites in the Pittsburgh area for the Innovations in Brass DCI Tour event on June 26. Blue Knights A forest fire near Evergreen High School, the Blue Knights' rehearsal site on June 3, forced corps members and staff to evacuate to Conifer High School until they could all return safely to Evergreen the next day. Boston Crusaders The Boston Crusaders' Spring Fling online auction opens on June 14, allowing bids on 2013 DCI event tickets, as well as tickets to other sporting and concert events, and even a six-day African safari package. All proceeds will support the continued operations of the Boston Crusaders. The Cadets While Cadets corps members continue their spring training rehearsals, the public is invited to attend or view a live broadcast of a performance of their entire production on June 9 in Johnstown, Pa.
Cascades The Cascades still have openings in their brass, color guard and front ensemble percussion sections. The Cavaliers The Cavaliers will host several GearWORKS: 2013 Summer Academy events, which provide high school and college men and women with instruction in brass, woodwind, percussion, and color guard, in Illinois, Iowa and Oklahoma. Colts The Colts will hold a car wash fundraiser on June 8 in several Dubuque, Iowa locations. Glassmen The Glassmen need more than 60 volunteers for the All Star Review DCI Tour event which is scheduled for Sunday, June 23. Funds raised at this event will help the Glassmen reach their goal of fielding a corps again in 2014. Genesis Genesis is in search of a CDL bus driver and Class A CDL semi-truck driver to take on paid positions on the corps' tour between June 20 and August 12. Legends The Legends Performing Arts Association food booth known as "Deep Fried Paradise" was featured in a MLive article discussing things to eat, hear, and see at the Festival of Arts in Grand Rapids, Mich.
Mandarins The Mandarins will hold their Family Day performance on June 15 at Cosumnes Oaks High School (Elk Grove, Calif.), where they will debut their 2013 production "Destination America: Journey of the Paper Sons." Music City Music City will hold a dress rehearsal on July 17 in Franklin, Tenn., which will be the first opportunity to view the corps' 2013 production, "Postcards from Havana." 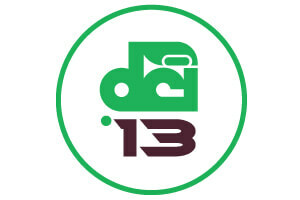 Oregon Crusaders The Oregon Crusaders are still looking for brass and color guard members for their 2013 season. They will hold their season kickoff event, Pioneer Courthouse Square Concert, on Tuesday, June 25. Pacific Crest Pacific Crest's educational drum major and snare drum camps will be held in late June. Information and registration is available on the corps' website. Phantom Regiment Phantom Regiment debuted a new look to the corps' uniform on Facebook earlier this week. Santa Clara Vanguard Santa Clara Vanguard will host a youth music camp from July 1 through July 26 in San Jose, Calif. Registration information can be found on the corps' website. Spartans Individuals can enter to win a Spartan Prize Pack by sponsoring one mile of travel on the corps' 2013 summer tour. Troopers The Troopers are in search of volunteers in advance of the corps' Drums Along the Rockies DCI Tour event which will take place Friday, July 5 in Casper, Wyo.